Did I thank everyone for being a Facebook Fan? Did I think all of you who use Helicopter Links? Thank you, I really appreciate it. Did I mention that even though Helicopter Links has been a hobby site for over ten years, we became a small business in September 2011? 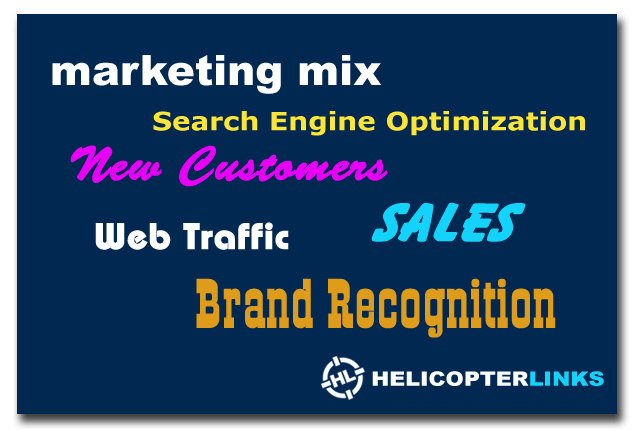 For years, Helicopter Links used to be (about) a 10 page web site with several hundred links but in 2011, I greatly expanded our helicopter site to 70 helicopter categories with over 2,800 links. The plan is to move forward and continue to represent the entire international helicopter community on our free-to-use, easy-to-use, no-login-required web site. We have a one-free-listing policy for any helicopter related business. We also accept paid advertising as well, for banner ads and for multiple listings. In the last several days, I added several new search terms for the Site Map. In addition, I made some internal coding changes to improve the aesthetics of the Site Map. These important changes are beneficial to anyone searching for the company they need. There will be several new sections added to the site in the next several months. The new sections will be Helicopter Rescue Training, Helicopter Ditch/Escape Training, Pilot Supplies and EMS Operators. We just issued a new press release www.helicopterlinks.com/media offering "free multiple listings" for any helicopter trade show, helicopter air show or helicopter conference on Helicopter Links, for 2012. This news release also details some of Helicopter Links incoming and outbound web statistics and other information about Helicopter Links. Helicopter Links currently lists over 25 helicopter specific trade shows, air shows and conferences around the world. We'd like to have our Trade Show web page as complete as possible. From January 1, 2011 to December 31, 2011 we are showing that we had over 7,400 visitors to our Trade Show web page. In addition, we had over 2,100 people click-through on the various links on our Trade Show web page to find more information. People use Helicopter Links to find information. As far as we know, Helicopter Links is the only web site where helicopter trade shows, air shows and conferences are listed on one web page, by continent, making it easy for anyone to view these world wide with one click and a scroll of the mouse. In addition, our Trade Show/Air Show page is the only web page where we offer multiple free listings. If you are part of an organization which produces helicopter trade shows, helicopter air shows or helicopter conferences, please send us an email and we'll list all your helicopter events on our Trade Show/Air Show page at no charge. I'm pleased to announce that the entire site has been updated for continuity, spell checks and coding for Search Engine Optimization. The continuity standards help make all categories on Helicopter Links to have the same look and feel. Optimum Search Engine Optimization is something all web designers strive to achieve. For those who don't know, Search Engine Optimization is actually a continual process. Our recent updates will help improve the search engine optimization of the entire site. The other important update on our site is that the coding has been updated on every page. This will allow the translation of text to be seen as intended. We've also updated Helicopter Link's Site Map to make it easier to find information. Updating our Site Map will be one of our ongoing goals of having an up-to-date and relevant site map. Helicopter Links is offering Introductory Pricing for 2012 - 2013. Purchase advertising for 2012 from our Introductory Price list (PDF available) and receive 2013 advertising at no charge.